Eli Cortiñas (Spain) has been a guest professor at the Art Academy Kassel and the Art Academy Mainz. 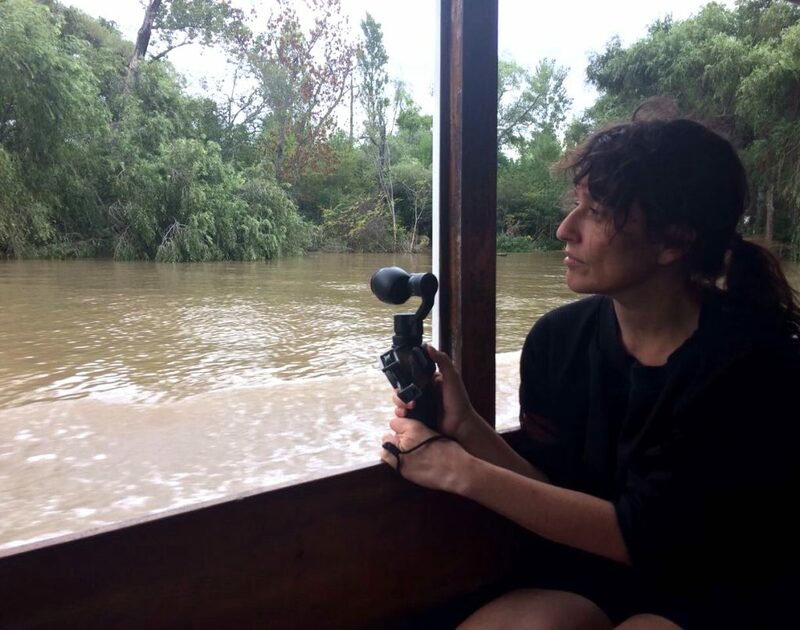 She has been awarded with grants and fellowships from Fundación Botín; Villa Massimo, Rome; Karl-Schmidt-Rottluft; Kölnischer Kunstverein Atelier; Shortlist Award for Film Art; Freunde der Nationalgalerie/ Filmakademie; Goethe Institute Torino; Kunstfonds; Berlin Senate; Villa Sträuli, Switzerland, amongst several others. Selected solo and group exhibitions include those at venues such as Museum Ludwig; Centre Pompidou; Kunsthalle Budapest; Museum Marta Herford; Moscow Museum of Modern Art; Kunstraum Innsbruck; Centro Atlántico de Arte Moderno, and MUSAC. Cortiñas has also participated in the Riga Biennial; Moscow International Biennial for Young Art; Mardin Biennial; International Short Film Festival Oberhausen; International Curtas Vila Do Conde and Nashville Film Festival et al. She lives and works in Berlin, Germany. During the Residency at Rupert Cortiñas will proceed with a project she is currently working on – a video essay which examines the modern tradition of juxtaposing the concepts of the face and the mask, idealizing the “real” face and assuming only illusion and the spurious expression in the mask. The piece titled Rendezvous De Masques, takes the tension between these two motifs, their blurred separation and an etymological, philosophical as well as cultural examination of the motifs as the starting point of an audiovisual essay.